Let the southern European sun shine into your life. On a southern European Cruise you will discover the various individual regions of the Iberian peninsula. Let vineyards, beaches and castles glide by as you relax on your river boat and experience long-established cultural traditions and lifestyles when you set foot on dry land. The Iberian peninsula largely consists of the countries of Spain and Portugal. 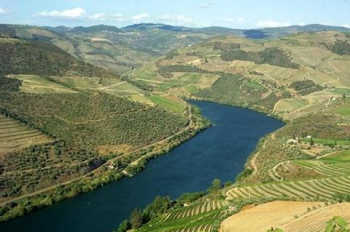 The rivers available to you on a Southern European Cruise are the Douro, the Guadalquivir and the Guadiana. The Douro, at around 897 kilometres in length, flows through the northern part of the peninsula before discharging into the Atlantic at Porto. The Guadalquivir is 657 kilometres long and flows through Andalusia. After its journey through southern Spain it discharges into the Gulf of Cádiz at Sanlúcar de Barrameda. The Guadiana, at 742 km in length, also flows through Andalusia. With small regional differences, the best time for a trip on these rivers is between spring and autumn. Going on a Southern European Cruises will help you get to know some of the most famous places in Spain and Portugal. Porto, for example, Portugal&apos;s second-largest city with its quaint old town or the long-famous Spanish university city of Salamanca with its erstwhile bullfighting arena, Plaza Mayor. Further to the south, Seville, the regional capital of Andalusia, is worthy of mention: here you can stroll through narrow, quaint alleyways or marvel at the cathedral of "Maria de la Sede", one of the world&apos;s largest Gothic churches. The coastal city of Cádiz, with its mighty cathedral and Roman theatre, is Europe&apos;s oldest city. Age is also a particular feature of the small Portuguese town of Mértola, where there was a harbour as long as 3000 years ago. Quite apart from all this, you will get an impression of the entrancing landscapes through which these rivers flow. Take a Southern European Cruise and experience the fascination of Portugal and Spain. Lush natural landscapes rich in diversity, weird rocky landscapes, and vineyards lend this voyage its particular character. Olive groves as far as the eye can see, banana plantations and cork tree forests, along with the rich cultural tradition and relaxed atmosphere of a sunny way of life - all this awaits you on a Southern European River Cruise.